Two separate sections for the “bookshelf” and for browsing. These menus can be maximized or minimized at any time for easier navigation. Users can customize the font color, size, and typeface through our redesigned Settings menu. Now it’s easier than ever to discover the next great read. With over 250,000 new stories every month, Wattpad is the most popular community of readers and writers in the world. 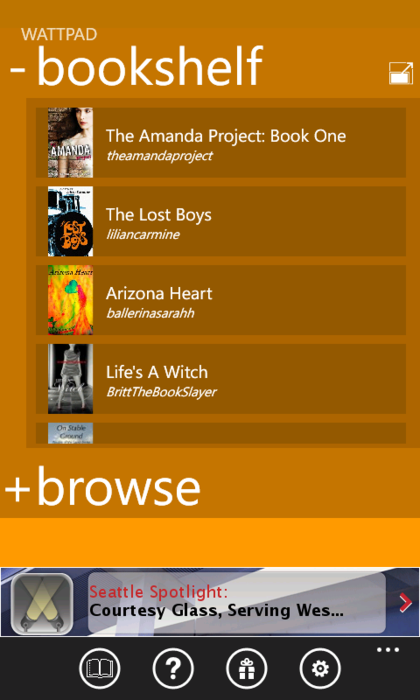 Download Wattpad through your mobile app store to read anywhere, anytime.